Century Christian Fellowship is a small church on the move. It is a pilgrim church. When God says, Pitch up tent, let’s move on to another leg in the journey, a new chapter in the book, we can either say, “Lord if it is possible, take this cup from me”, and stay there….or we continue with, “…. but not my will, but yours be done”, and move on in faith. This extension of Chapel of Resurrection has chosen to do the latter. 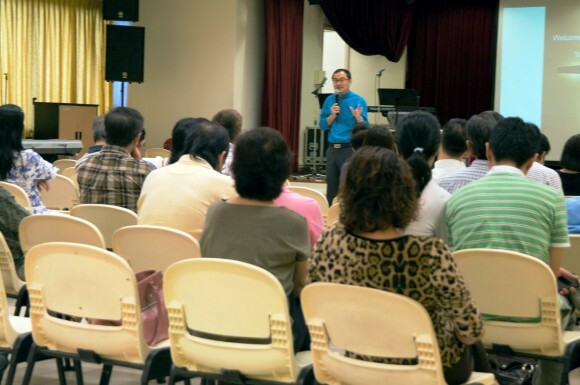 In a month, they would be moving from their current premises in Simei, to be the Sunday evening English service of Church of Epiphany at Jalan Kayu, between masterstroke Punggol and conventional Sengkang. It will be a convenient English service option for Anglicans living in either of these estates. My wife and I were early for the 9.30am Sunday service, and we caught up with what’s been happening with the church. Pastor Peter has enjoyed his over 2 years of leading the church. The congregation has been around for about 20 years and there were a handful of faithful members who have been with them for more than a decade. They were doing a series of messages on the book of Joshua and as it turned out the passage allotted to me was Joshua 18. It was an interesting passage pregnant with relevance to the move in front of them. Seven tribes had not yet moved in to possess the land that God had given to the descendants of Abraham. Joshua urged them to do so, and I love the King James Version of it because it shows how much the version has contributed to our use of the English language. “And Joshua said unto the children of Israel, How long are ye slack to go to possess the land, which the LORD god of your fathers hath given you?”(verse 3). Notice the word “slack” – a favorite among young people even today! Anyway, I had a good time connecting with the people and encouraging them to press on into all that God has planned for them in terms of blessings as well as calling. The sensible thing to do is to stay calm and take stock, and gather the faith community for prayer, discussions and discernment. It seems like the government is hoping to address this issue by putting the onus on the landlords and developers so far. It isn’t expecting overnight changes. Churches need time to move and tenancy agreements require sensitive re-negotiations. The government is aware of this. Churches in industrial space (CIS), especially if they have not been reported in the newspapers need to stand still and look at the ramifications and discuss the possible scenarios and alternatives they have. There are legalities and ethical factors not just geographical factors to weigh. One of the alternatives to consider is the use of other churches in proper buildings and request to use those places temporarily or permanently during a Sunday afternoon, evening or a Saturday evening slot, where it may be available for rent. During crisis like this, churches need to open their doors in the love of Christ for the brethren. A shelter, even for a period of time, until a firmer direction can be set by the affected church, is an act of mercy and charity. It is what being church is all about. Another consideration which may seem radical is to take a page from the book of Acts and be church in the household (oikos). For the first three centuries of the early church, the believers deliberately refused to model themselves after the synagogue or the pagan temples, the main religious buildings they have experience of. There is something about the household that makes it an ideal environment for making disciples and growing the faith community (incidentally, when news broke, I was attending a master’s program that dealt partly with this, and I hope to share it in later posts). A small church of 70 would have seven homes where they could meet on Sundays and end with a potluck lunch. Of course the music will have to be Quaker style or catacombs style not contemporary style. On lazy mornings neighbours can be sensitive to “noise”, even a “joyful noise”. Alternatively, for the more radical, why not Saturday afternoon or evening, or even Friday evening for “church”. 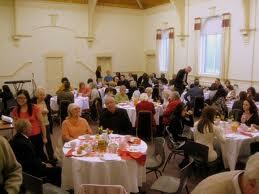 This could include a once a month, or bi-monthly or quarterly combined celebration in a rented hall. You could call this the organic alternative – no pesticides, no preservatives, no artificial colouring, no trans fats or cholesterol. Of course the well trodden route is to rent the space in hotels, private schools, cinemas, association halls, and other commercial space available. These were the main places of churches before they became too expensive and drove churches to consider industrial space. This does not need much elaboration, but it is a temporary alternative until a firmer direction can be set. Going for commercial space or ventures is a fifth consideration. CIS are usually small churches and are not in the financial position to take the route of City Harvest Church and New Creation Church with their 8-9 figure budgets. There are however smaller business enterprises that could be used on Sundays for a church gathering. This way the property is used all week, unlike most churches which lie idle most of the weekdays. At the same time, a church that starts a business enterprise for use as worship place on Sundays also provides jobs for others and contributes to the economy or help society. Limitations include a space limit, a small percentage of total development, and usage for only two of seven days a week. A more sacrificial path, and similar to the commercial path in that the building is used all week, is to do community service and start a centre that ministers to society’s pain and cries. Whether it is for the elderly or the very young, the addicted or the afflicted, there are many needs that the government would be happy for the church to lend a voluntary hand and a good inflow of finances. Two other alternatives remain. 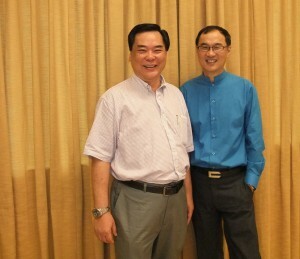 One is to find several churches to partner and get all the cash and minds ready to go into a joint development of a private religious or HDB site into a multi-storey building that would cost close to 30 million dollars. This has been done before: twice in Yishun, in Clementi, in Jurong West. Perhaps the government could have a hand in this and release HDB sites specifically for several small and medium sized churches to share a building. The last alternative is often last of alternatives for CIS to consider but the Lord may lead them to do so. The alternative here is to merge with another church of similar or smaller or bigger membership. This of course has to be done gingerly and with much wisdom and prayer, and with a match maker too, maybe a “social development unit” can be set up by Love Singapore, or EFOS or some other body, to professionally help such mergers or even acquisitions happen. 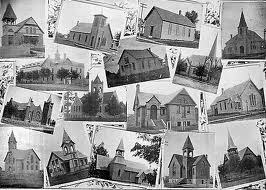 Or the small churches should form a network, association, or co-operative to help each other. Such are the times where we will get to see the gift of apostleship manifest. Organizers and mobilizers we have many, but when the crunch comes, the spiritual fathers of the church will surface. The bottom line is that all faith communities pilgrims on a journey like our forefather Abraham. Steps have to be taken by faith with uncertainty as our shadow and Jesus as our constant companion. We face trials and difficulties but we are resilient and hopeful because our destination is sure, though not our route. The Lord God goes before us and causes all things to work for the greater glory of God. All that is temporal will in the end be shaken, but what is eternal and will be left standing is the unshakeable kingdom of God. 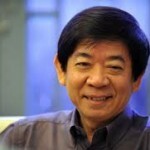 Last week, Mr Khaw Boon Wan, the minister of national development made some comments that would throw many churches off balance. 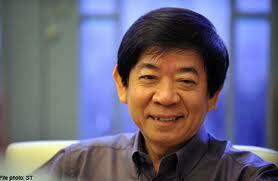 He blogged about wanting to help small and medium enterprises cope with rising industrial rent. One of the causes of the increase in rents, according to the minister, is the improper usage of industrial space by shops, tuition centres, furniture showrooms, offices and churches. This demand had pushed the rents up. Industrial space is meant only for warehousing, manufacturing, production, e businesses, IT infrastructure and software development, and child care centres, as they support the industries nearby. If tenants are found to be using space improperly, the penalty may be a fine of up to $200,000 or jail of up to a year. In the past eyes have been closed to this creeping intrusion, but the line was drawn with a click. One wonders if the rationale for the stated action is reasonable and able to deal with the root cause of increased rents. As pointed out by a Straits Times reporter in a later article, there were other major factors driving the rents up: the movement of speculators and investors from residential, due to the spiked stamp duty, to industrial space; the farming out of development and management of industrial space to private entities and REITS; and most crucial of all, the tender method used to award industrial space. If they really want the operating costs for SMEs lowered, shouldn’t they be tackling the problem at its roots and with a macro and a multi-prong approach? In the context of what has happened in recent years to churches it is difficult for the affected parties not to speculate if there is some hidden agenda being pushed or whether things are really as stated in the official communiqués. I do not believe there is anything sinister underneath: just a secular government wanting to act rationally and firmly without fear or favour. Reactions from pastors and their churches, usually small and medium sized, have been muted. It ran from a scramble for alternate places of worship this Sunday to a deliberate approach of study and discussion of exit strategy. Some would be indignant, while others would be matter of fact, stoic and practical. Most would be found in a place of prayer and peace, consulting with others, exploring alternative strategies, and looking to the Head of the body for help and guidance. 1. More & more churches will be hunting new homes. 2. More & more churches would be thinking of going into “joint-ventures” and partner each other in home hunting. Maybe this will even lead to churches not only combining resources but really combining their congregation together. 3. Industrial buildings is now a no-no; maybe the next best choice is a commercial building. 4. Both of the above are mostly on 30-, 60- year leases. There would be some 99 or freehold – but of course the pricing is different. 6. The other route is to take what some mega churches are doing; a la THE ROCK; building & investing in commercial projects (with auditoriums & church facilities) and at the same time use this facility during weekend”. 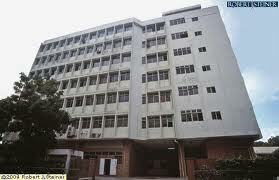 It is seriously doubtful that industrial rent can be moderated without a concerted multi-prong strategy. On the other hand, I am absolutely certain that such an action cannot break the spirit, resilience, and productivity of the small church, even if this was not the intention of the ruling. Small churches are like mustard seeds and trees. 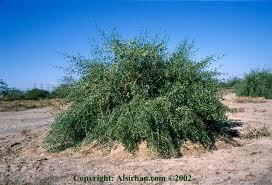 Mustard seeds are tiny and the full grown mustard tree grow to a small 10-15 feet maximum. But the seeds and plants are renowned in ancient days for their quickness in germinating and taking root, and taking over space, and growing in unlikely environments and conditions. Though useful they are treated like weeds and are unwanted. But then, they are almost impossible to get rid of. So the small churches. It’s a reality large and mega-churches and governments need to acquiesce to. 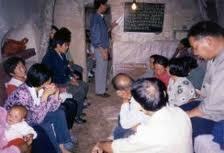 Even communist China with all its powers failed to rid itself of the small church! Small churches are muscular, resilient, and omnipresent, and their tiny seeds will disperse with the wind of the Spirit and many more small churches will sprout!